Previously, biology and internet connectivity occupied completely different spaces of an academic environment. But in a modern age, this is no longer the case. 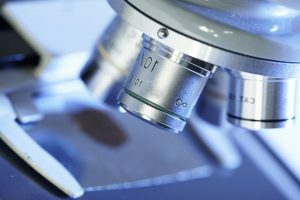 By utilizing technology, life scientists can complete exponentially more experiments at higher levels than ever imaged. 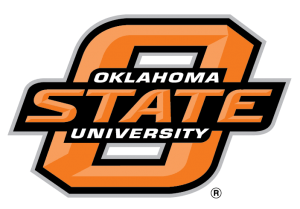 At Oklahoma State University (OSU), researchers are leveraging robust OneNet connectivity to maximize genome sequencing research. In 2016 OSU was awarded $250,000 National Science Foundation research grant to fund a genome sequencing machine for life science research. Formerly, many researchers at OSU used external sequencing services because the in-house machine was unable to meet all needs. A poll of the researchers at OSU determined that more than 10,000 samples over the next three years were pending sequencing work. The new sequencing machine produces 120 billion base pairs of data overnight. This is 1,000 times more than OSU’s former machine. 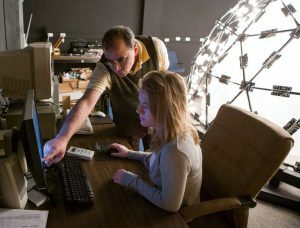 Its astronomical processing speeds are allowing scientists at OSU to study more complex organisms. Dr. Peter Hoyt, graduate program director for bioinformatics certification at OSU, has witnessed the improvements in microbiology over many generations. He recalls that as a graduate student he had to sequence DNA by hand using X-ray films and radioactive nucleotides, the basic unit of DNA. The process took weeks and produced significantly less base pairs. Now, technology like the new genome sequencer has changed the face of biology. The data generated by the machine occupies an entire terabyte every week, and the space required to analyze the data is 10 times larger. Often, researchers at OSU collaborate with other scientists and need to transmit the data across the nation. For a normal internet connection, these capacity demands would be outright impossible, even for a large university like OSU. If a researcher were to transmit a dataset, the scale of the information would clog the entire university’s bandwidth, preventing professors, students and administrators from doing any work. 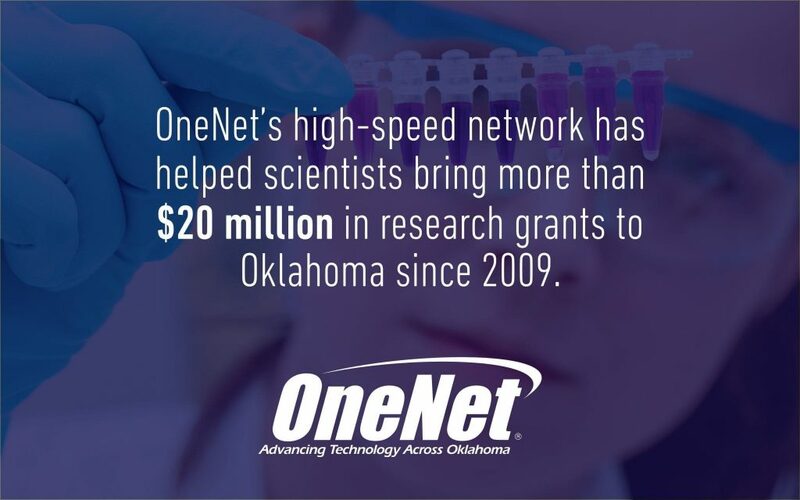 Thankfully, as Oklahoma’s dedicated education and research network, OneNet is able to provide network connectivity to Oklahoma’s research institutes at the scale needed to power innovative experiments. Since 2012, OneNet has operated a 100 gigabit-per-second (Gbps) research ring across Oklahoma that connects the state’s research organizations, The University of Oklahoma, Oklahoma State University and Oklahoma State University-Tulsa. This dedicated network provides the speed and bandwidth necessary for high-level experiments without draining the resources of regular university networks. This research ring is connected to a national 100Gbps network that facilitates nationwide collaboration. Hoyt said he believes the new sequencing machine, powered by OneNet’s robust connectivity, will help set the pace for future funding and grants at OSU, too. The new machine is now being integrated into the curriculum of undergraduate and graduate students. This will expand opportunities for new research at OSU and allow Oklahoma students to gain state-of-the-art training on cutting-edge equipment. Some of the current projects utilizing the machine involve cloning genes responsible for antibiotic resistance. As a land-grant university, OSU’s mission involves educating Oklahomans so they can utilize their talents to best serve their communities. By partnering with world-class researchers, OneNet’s network is facilitating work that changes the future of Oklahoma and beyond.